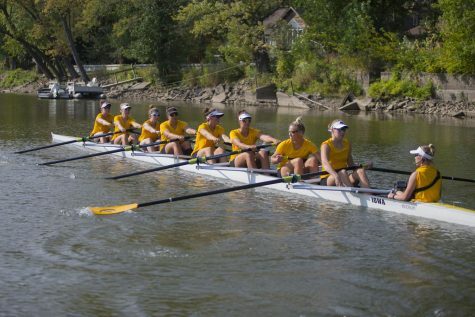 Iowa rowing takes on ranked Indiana and Wisconsin in its annual fall scrimmage. 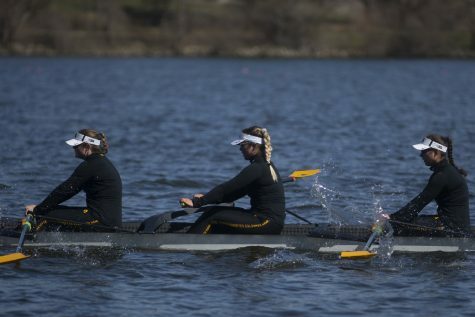 The Hawkeye rowing program will hit the waters in Madison Friday and Saturday to race Indiana and Wisconsin in its first scrimmage of the fall. This weekend’s races follow an unprecedented season for head coach Andrew Carter and the rowing team. 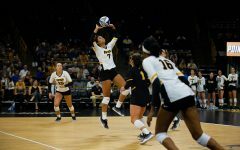 The team took home an 11th-place finish at the NCAA Championships in May. 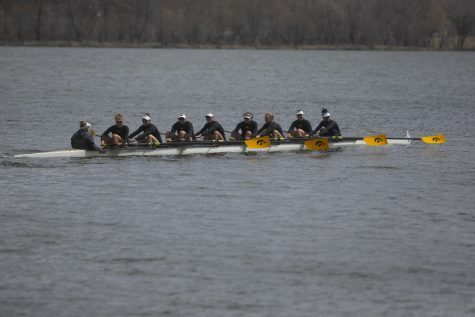 Leading the team, the First Varsity 8+ crew finished fourth in its race, narrowly missing the finals. 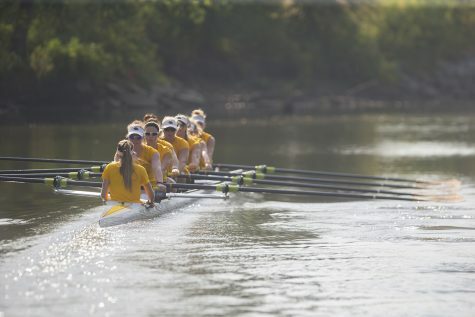 This year, four rowers return to the First Varsity 8+ crew, providing much-needed experience. 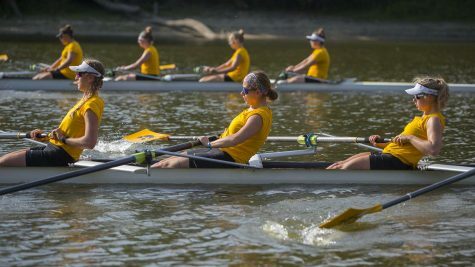 Carter’s novice program is famous in creating capable varsity rowers to fill in vacancies. 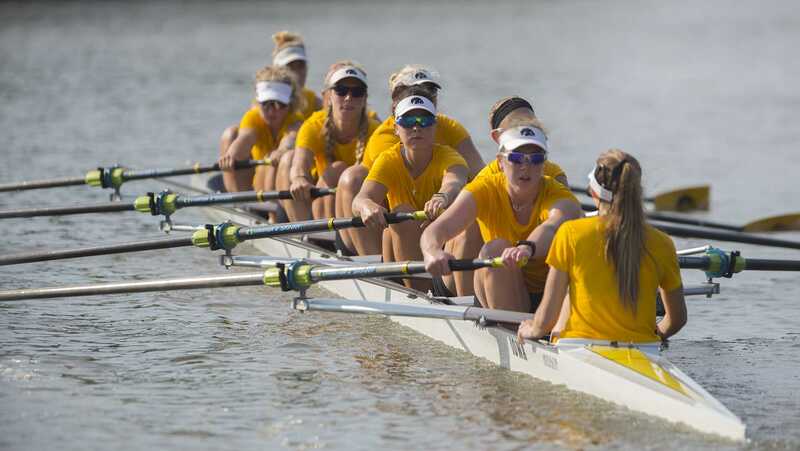 Iowa’s top crew will likely seat Hannah Greenlee, Contessa Harold, Hunter Koenigsfeld, Katie Pearson, Claire Rutherfold, Paige Schlapkohl, Eve Stewart, Naomi Visser, and Elena Waiglein. 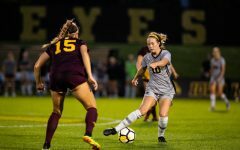 Indiana finished the 2018 season at No. 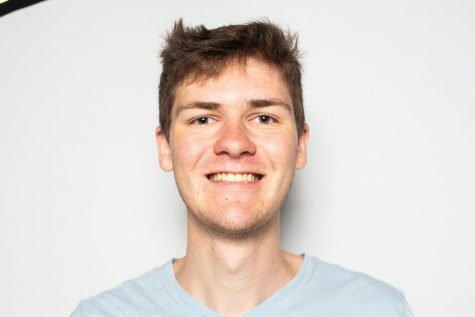 13, two spots behind Iowa, and Wisconsin finished No. 16. 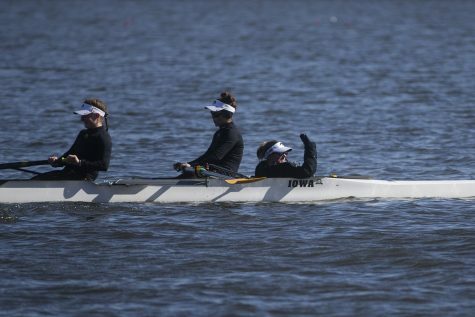 The scrimmage serves as a precursor for the Head of the Charles Oct. 20-21, in which Iowa will see some of the nation’s top squads.